In the cars of this class the seating for 7+ is included. 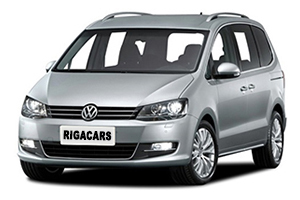 If you need a spacious car for all your family or a car in which all the necessary travelling belongings must be carried, then a minivan is required. If you are planning to go hiking or to visit some sport events, and there are less than 7 passengers, be free to remove the seats, thus increasing the space in the car. Equip it with the navigation device in order to reach your destinations peacefully.